La stagione autunnale è ormai iniziata, anche se i primi freddi tardano ad arrivare. Cosa amo di più di questo periodo? 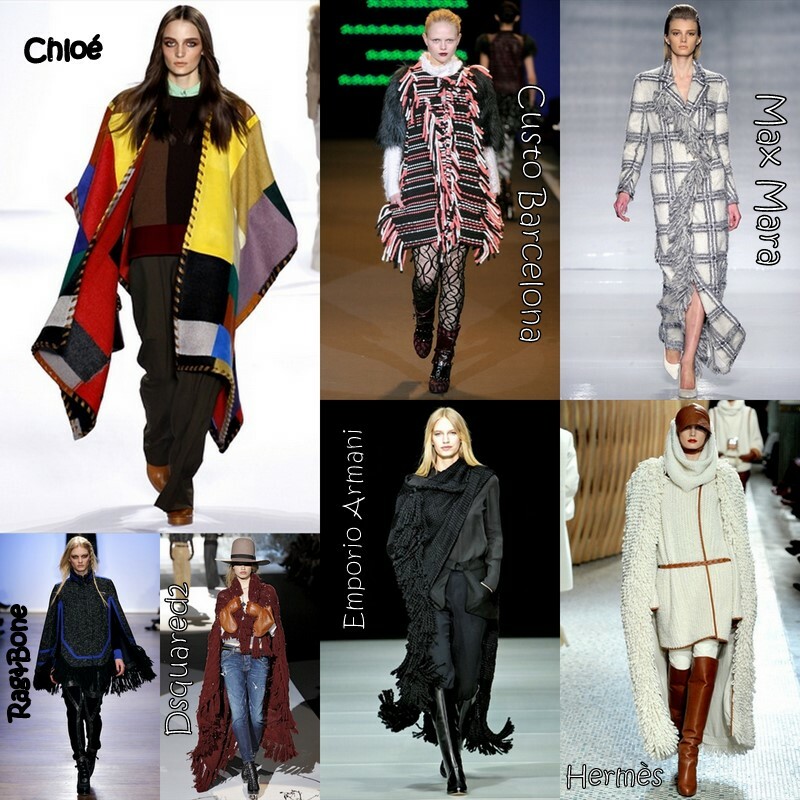 La varietà dei capi "outerwear" da indossare! Oltre ai capi immancabili in ogni guardaroba, quali, il trench, anche nella versione revisitata con contrasti in pelle, le giacche, di svariate tinte e tagli e il famoso "chiodo"; possiamo sbizzarrirci con alcune "new entry" in fatto di capi dal peso medio! Di cosa sto parlando? Di cappe, plaid e parka. The fall season has already begun, although the cold weather slow in coming. What I love most about this period? 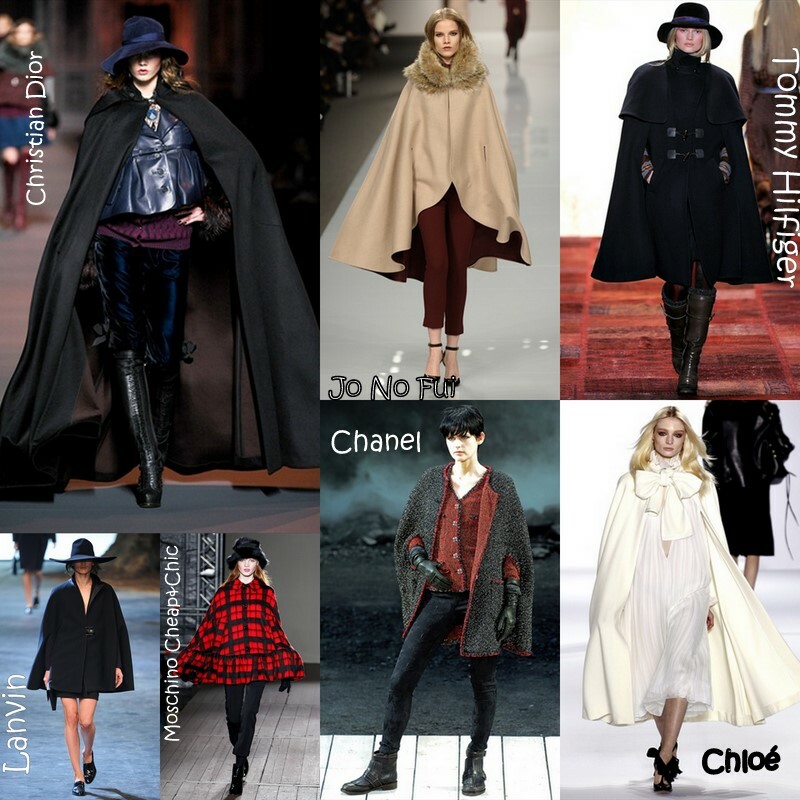 The variety of "outerwear" to wear! In addition to the heads must for any wardrobe, which, the trench coat, even in the version revisit with leather contrasting, jackets, with variety of colors and cuts and the famous leather jacket; we can indulge ourselves with some "new entry" in terms of leaders from average weight! What am I talking about? Hoods, plaids and parkas. Le cappe, come alternativa al cappotto, non sono più una novità. Ma ad ogni stagione autunnale vengono rivisitate e riescono ancora a stupire, che siano esse lunghe, medie, corte, da regina della notte, dallo spirito folk o in semplice lana. The hoods, as an alternative to the coat, no longer a novelty. But every autumn are revisited and still manage to surprise, that they are long, medium, short, queen of the night, by folk'spirit or in simple wool. Una coperta? Si, ma per essere indossata! A quadri, con frange tricot lunghissime, colorate e patchwork o interamente lavorate all'uncinetto, i plaid diventano dei copricapi estremamente "cool"! A blanket? Yes, but to be worn! Checked, knitted with long fringes, colored and patchwork or entirely crocheted, plaids become clothes covers extremely "cool"! Il parka o anorak si declina anche in versione da sera su tubini e abiti da cocktail. 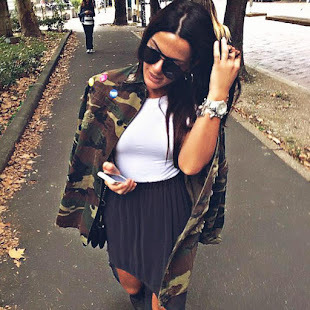 Spesso in tessuto nylon, la giacca "militare" è caratterizzata da tasconi, zip, inserti di pelliccia e tante coulisse. Cosa ci insegnano le passerelle? Dev'essere obbligatoriamente tenuto slacciato! The anorak or parka is also declined in the evening version on sheath and cocktail dresses. 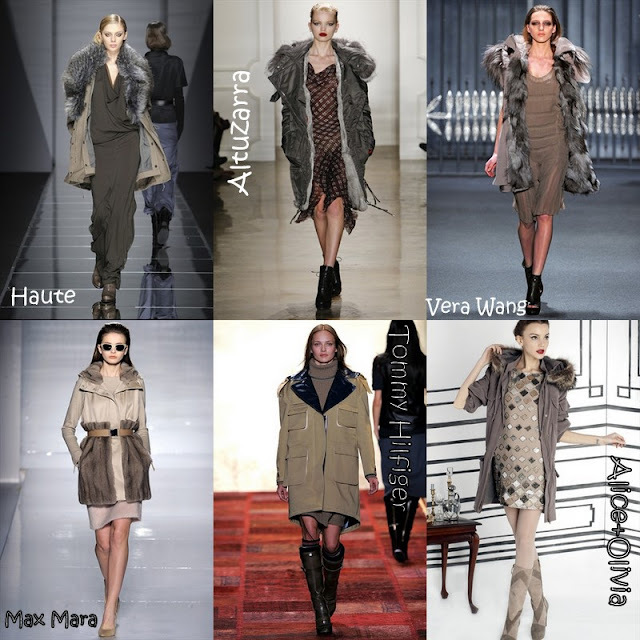 Often in nylon fabric, the "military" jacket is characterized by pockets, zippers, drawstrings and a lot of fur inserts. What the catwalks teach ? It must be necessarily taken undone! Burberry è una certezza! non delude mai! Hi, this blog is really amazing and provide me answers to all my questions. This is really informative .I have been looking the World Wide Web for this information and I want to thank you for this post.